Minimalism has become a trend in design lately because if its relaxing, simplifying effect. The style can improve focus, calm anxiety, and even save you money because you won’t be tempted to buy more to fill the space since the whole point is to keep the decor to a minimum. 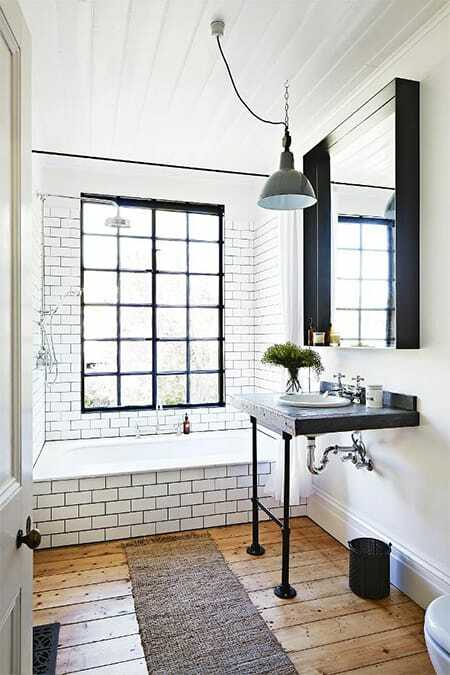 For a bathroom, this style is particularly easy to achieve. 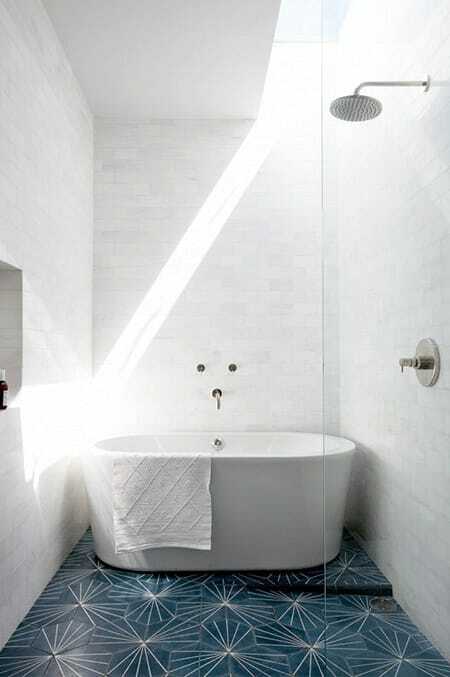 If you’ve always wanted your bathroom to feel more spa-like, minimalism is a good place to start. 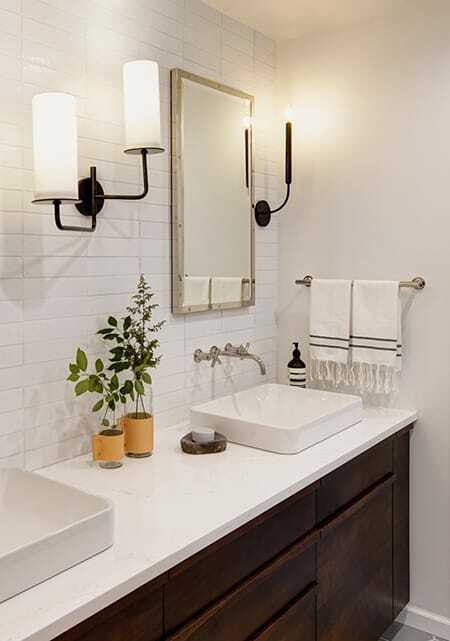 The simpler the lines and decor are, the more peaceful your bathroom will be. Of course, you don’t have to be seeking a “zen” look to take advantage of minimalism. It can fit a variety of styles, including farmhouse, industrial, or even glamour. Here are 10 examples of minimalist bathrooms to inspire you. A palette of white with dark wood keeps things simple and relaxing. 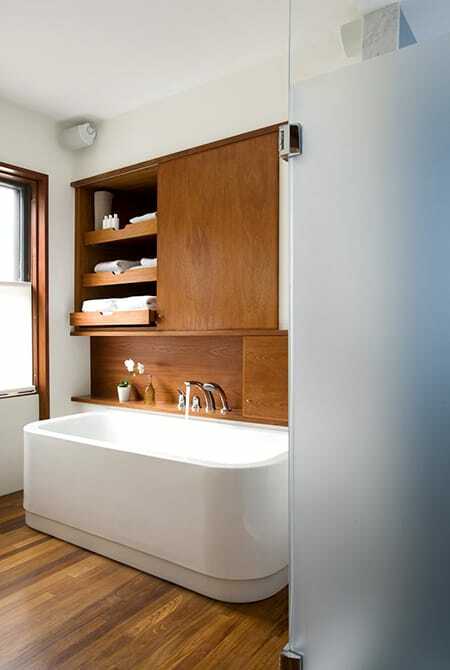 The small shelf behind the tub with some minimalist decor is a nice touch to bring depth and character. The floor tile has the opportunity to shine with all the white surrounding it. 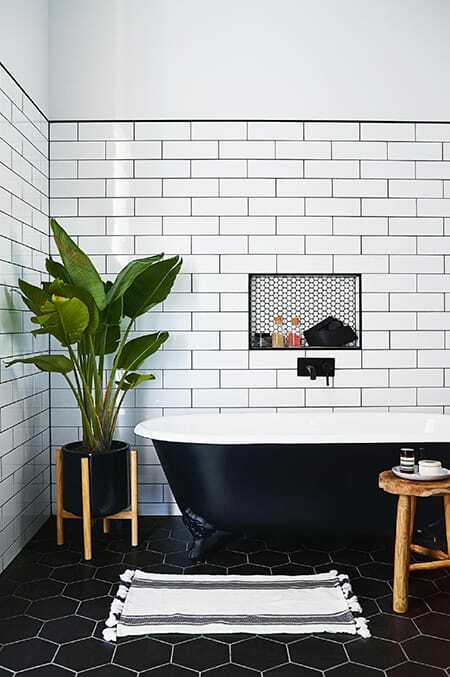 Black grout makes the subway tile a little more dramatic and creates an intriguing, contrasting effect with the floor tile. This bathroom incorporates some farmhouse touches into a spa-like, contemporary setting. 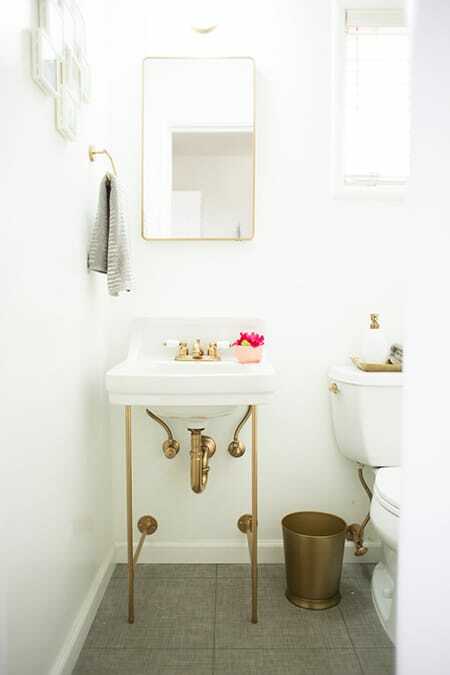 A minimalist bathroom can also be glamorous when you incorporate gold accents. Industrial design gives minimalism an edgy flair. 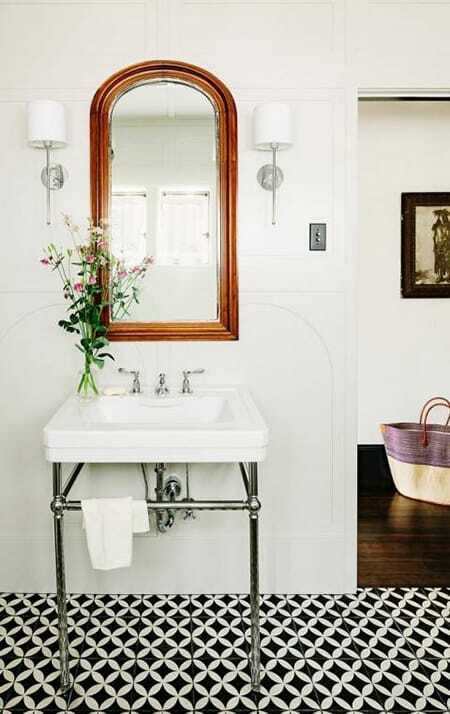 A white tub paired with polished, warm wood always helps achieve a spa-like vibe. 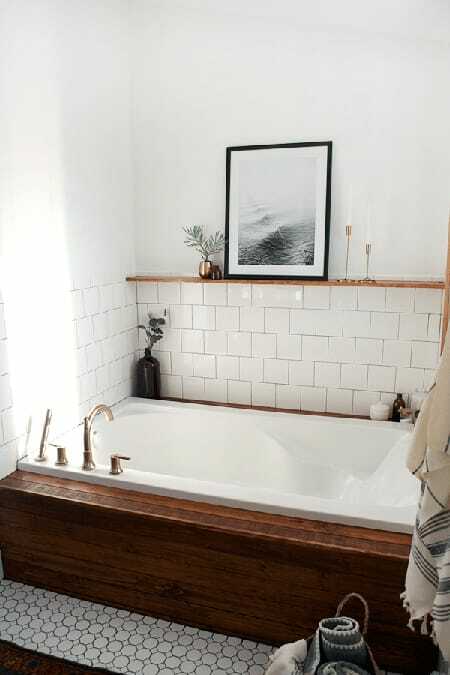 Leaving plenty of open space makes a bathroom feel more minimalist and relaxing. Vertical space is used in this bathroom to create a surreal effect, such as with the floating counter and sink and the pendant light fixtures. 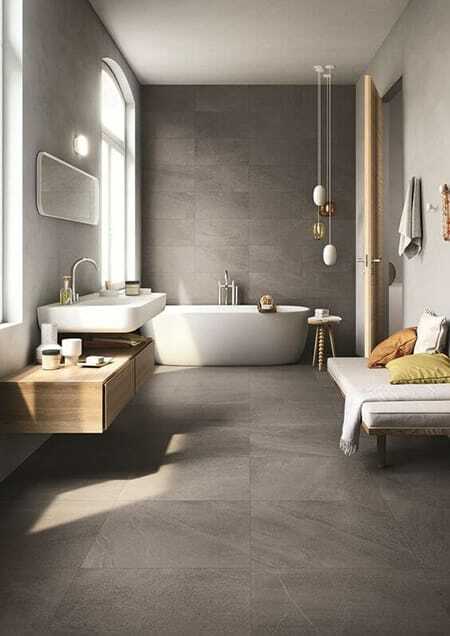 The charcoal grey tile looks ultra luxurious while offering a sleek, minimalist appeal. Would a minimalist bathroom make you feel more relaxed?